Inspired gift giving is easy at Valley Goods, the pop-up holiday gift shop celebrating its grand opening on December 6th during Gear Up @ TwispWorks. From December 6th through December 24th you can find the best of the Methow Valley’s bounty all in one place! 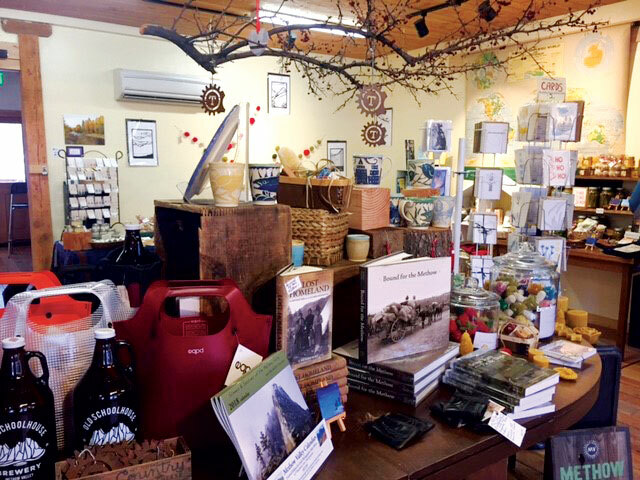 Featuring goodies from over thirty local vendors and staffed by local artists, Valley Goods is sure to make ticking off your holiday gift list a treat this season. Valley Goods is brought to you by Methow Made, a marketing program that gives Methow Valley artists, makers, producers and micro-manufacturers exposure to customers who love the Methow Valley and want to support our local economy. DATES: Mon-Fri, Dec 6-24, 11am-6:30pm; Sat and Sun, 11am-3pm. Grand Opening, Thurs, Dec 6, 4-7pm. LOCATION: TwispWorks campus, building #9. INFO: www.twispworks.org, 509-997-3300.